A lot of discussions has gone into the identification and prevention of bed bug treatments. This is only natural, after all, it is better to prevent a problem in the first place than to deal with it after the fact. But the fact is, sometimes in spite of your best efforts you may end up with a bed bug infestation in your home. This can be a source of tremendous frustration and stress, but by knowing the steps that you should take in such an instance can help to make the solution easier. So if you have a bed bug infestation, what treatment options are available and employed by a pest control company treating your home? There are a variety of different treatment options for bed bugs, and ideally, multiple treatment options should be employed to maximize the effectiveness of the overall treatment. The right treatment for a particular infestation largely depends on its scale and location. Generally speaking, there are two major categories of treatments that can be effective against bed bugs, heat treatment, and insecticide treatments. Each has their pros and cons, and it requires professional expertise to identify the best option to use in a specific instance. So to begin, what are heat treatments? And how can they be used against bed bugs? Bed bugs are extremely tenacious pests, and unfortunately, they have relatively few weaknesses. However, they are extremely sensitive to certain extreme temperature levels, and this can be used to eradicate an infestation. Heat treatments are often employed on items and in areas that traditional pesticide treatment would be undesirable. This treatment can be employed for items such as furniture, linens, and luggage by locking these items into a “hot box” that will be raised to a temperature in the realm of 115-125 degrees Fahrenheit. At this temperature, any bed bugs inside will quickly be eradicated, and this can be very advantageous as it removes the problem without harming the items in question. Heat treatments can also be done for clothes and other items by using steam treatments or washing machines. Washing and drying clothes at a sufficient heat can fulfill the same goal. However, while heat treatment is very effective, it can also be very expensive, especially when employed for a room or an entire home. In most cases, heat treatment should not be used for a home unless the infestation is at an extreme level as this is by far one of the most expensive ways to treat bed bugs. So what about using pesticides to treat for bed bugs? Pesticide treatment is the older of the two major treatment options. Due to this, it is more heavily employed as it is more universally applicable compared to heat treatments. Pesticide treatments are usually carried out in 2-3 sessions over a period of a few weeks to a few months. 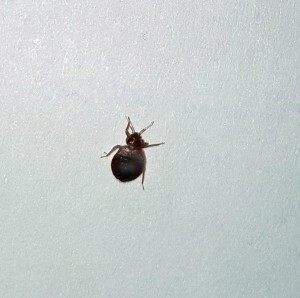 This is due to the fact that bed bugs can remain dormant for up to a year, and thus it is necessary to treat multiple times to ensure that the entirety of the infestation is eliminated. Pesticides are an effective way to deal with bed bugs, however, they must be used correctly and in a safe quantity. Achieving this balance of effective treatment and safety is difficult, and it is a task best left to professionals. While it is possible to treat bed bugs with a variety of pesticides, many of these products require a professional license to acquire and thus your best option is to call in a licensed pest control company to treat your home. How can homeowners know the best treatment option for their home? Bed bug treatment is a complex, often difficult process, and as we have said each treatment option has its advantages and disadvantages. The key to a quick, efficient, and safe bed bug treatment in consultation with a trusted pest professional. Any treatment process should begin with a thorough inspection of the home to establish the severity and spread of the infestation. This allows a pest technician to formulate a targeted treatment plan to tackle the bed bug problem head on! If you are a Cherokee County, GA resident in need of bed bug treatment services, Canton Termite and Pest Control is your one call solution! With decades of experience in the pest control industry, we have formulated a wide range of treatment options that are affordable, effective, and backed by our industry-leading, 100% Satisfaction Guarantee! So make today the last day for pests in your home, give us a call at 770-479-1598! We will be happy to help in any way that we can! Start living PEST FREE today!